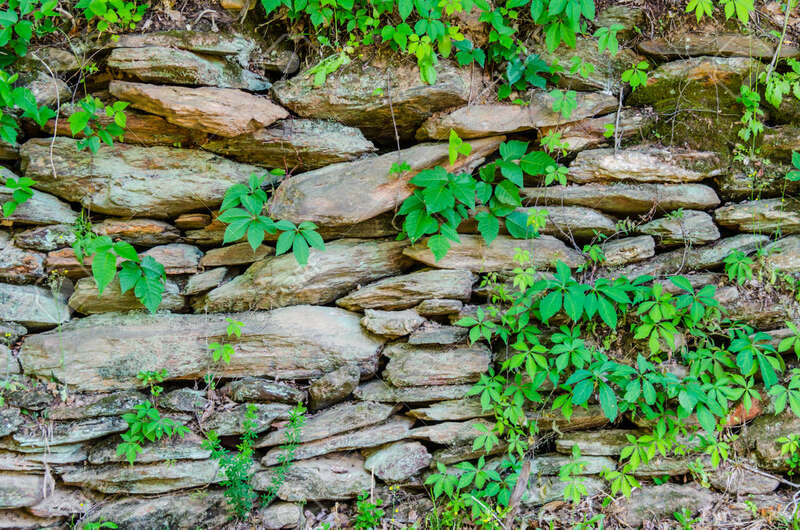 Rustic Natural Stone Wall With Foliage. Beautiful Textured Rock. Excellent Natural Scene For Background. Lizenzfreie Fotos, Bilder Und Stock Fotografie. Image 101991992.